A soulful voice, a powerful lyricist, with a harp full of passion; these are just a few of the things that you will enjoy when you turn up to see Diane Blue. 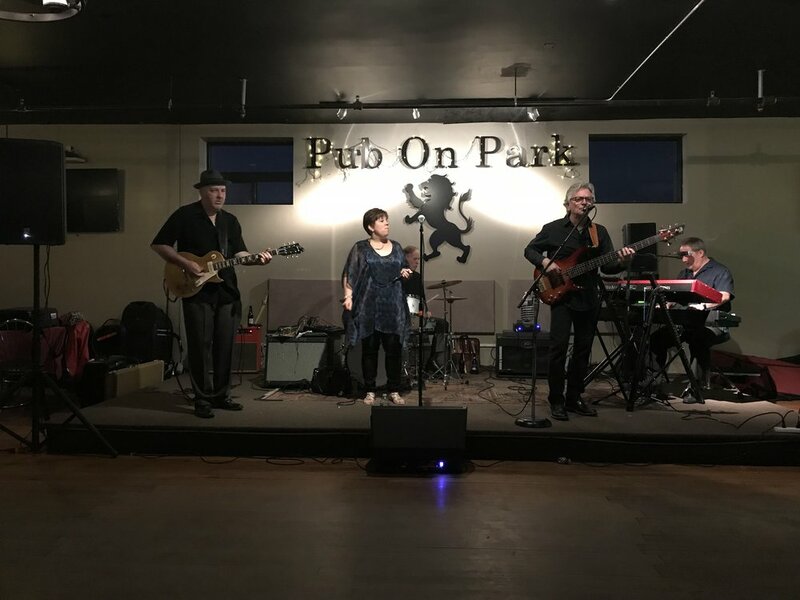 Whether you are enjoying her as the lead singer and harp player for Ronnie Earl and The Broadcasters, or with her own All Star Blues Band, you are in for a fantastically fun night. Diane has a true gift in her ability to not only write songs that fully pull on your heart strings but to also play the harp and guitar in a fashion that will get you right in your soul. I’ve had the pleasure of seeing Diane in three different settings now. Once with Ronnie Earl, once on her own as a guest of the Vintage Rhythm and Blues Ensemble, and now with her own All Star Blues Band. Each and every time she has has put out a powerful performance to match each occasion. The first time I was fortunate enough to see her live was with Ronnie Earl and The Broadcasters at one of his always sold out shows at The Bull Run in Shirley MA. This was a packed room and the songstress was more than up to the task. With Ronnie putting on full display exactly why he is a legend and he most recently won Guitar Player of The Year from the Blues Music Awards, to the entire band being on point, Diane put words to music and delivered them in her unique and beautiful voice. Full of depth and range, she presents each song with the full and powerful emotion of someone born to be a singer. With years of work put into honing her talent she was able to step away from her office job and put her life on the track that enriches us all. Delivering originals and classics alike, Diane is more than up to the task of taking you on an emotional ride through the music of life. 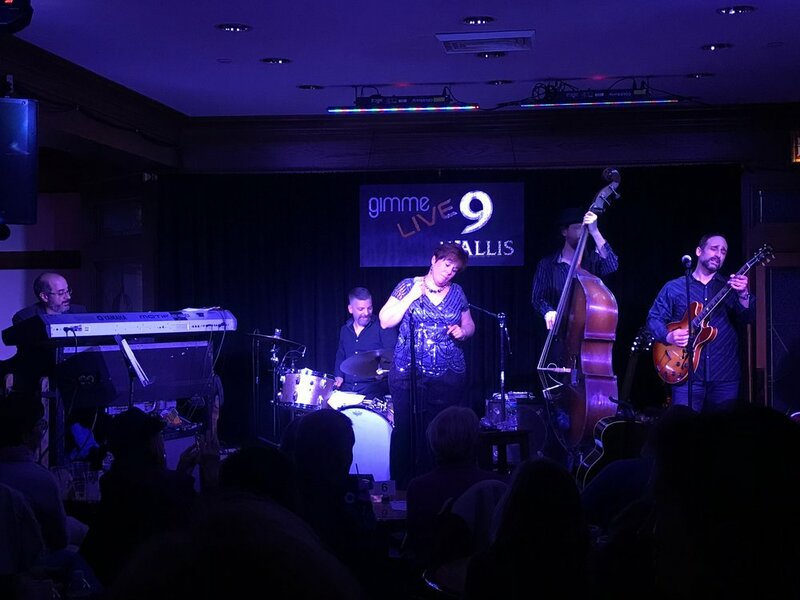 In her most recent performance at 9 Wallis in Beverly MA, she brought out the lyrics of “That’s What We Call The Blues”, wherein she helped to deliver a song with the depth of life itself. Walking through each person’s heart and mind as we try to make sense of our lives, she opened the window to let in the light of understanding that we do all get the Blues and that there is a way forward. An upbeat piece that she delivers with a matter of fact style that leaves no doubt that this is simply a part of life and that it’s ok to feel the Blues. Moving into the fun and upbeat tune, “Knock Knock” written by Carol Fran, the whole band kicked it up a notch into the fun boogie style while Blue delivered every note with the fun of the song as it walks through the classic tune and harkens back to the classic sound of the female artists as they came into their own on the front and center stage of the Blues where they had been destined to stand. Her delivery and passion of tunes that run from the sadness to the fun of life show why she is a true powerhouse of music and we should be very proud to have her in our community. One of the most heartfelt and moving songs of hers, “Cry Daddy”, that I’ve seen performed is an original she wrote for her mother and father after her mother passed away. Chronicling the road traveled by a young daughter trying to help her grieving father through the heartbreaking road of loss and recovery, Diane puts word and lyric to heart in a way that draws you in and brings every emotion to the surface as you follow the story of loss, life, and love. When you add on top of her beautiful vocals that she also plays a mean harp, you are set for a night of great music. Her styles running the gamut of the Blues, she aptly calls the style of a hard playing harp straight out of the Delta on its way to Memphis. With so much of the attention in history and today placed on the many great male harp players, it is a delight and breath of fresh air to see and hear a female artist prove that she is every bit up to the task of taking on that “man’s world” and making it her own. And in a treat that I’d not seen before, she brought out an acoustic guitar that she plays with great beauty and heart. Seeing her go between belting out classic and original lyrics full of passion and grace, to blowing a harp like the world was hanging on every note and then picks a guitar in something so beautiful and graceful that she could meld into a church or a dance hall all without switching the melody, Diane shows that she is the full triple threat. Writer, singer, musician…. She’s truly a gifted artist that has put the work in to make herself a great artist! At this most recent concert at 9 Wallis she had on bass Jesse Williams, Chris Anzalone on drums, Chris Vitarello on guitar, and Dave Limina on keys. Chris Anzalone, from Roomful of Blues, on drums is a true pleasure to see and hear in action. Taking on every song with a look of fierce determination, he takes no prisoners when he powers into a boogie, a rocking power Blues number, and a beautiful slow Blues. Having seen Chris play with a number of different groups over the last year, I can say with confidence that he is truly gifted in his ability to meld into the style and band of any he is a part of with grace and determination. Jesse Williams on bass, whom I’ve seen play with several great bands, has a rich repertoire including playing with Ruth Brown, Duke Robillard, Bruce Katz, and most recently with Seth Rosenbloom, and Sonya Rae Taylor. Williams is a well rounded professional that is sought after by a variety of bands and for good reason. The man knows how to deliver on a bass guitar and an upright bass as well. His ability to dig deep and pull the modern electric Blues and to switch to the roots of the Blues with that upright bass is something to truly enjoy. Carrying the melody on lead guitar is Chris Vitarello who is also part of Bruce Katz band. Bringing the soulful stylings of the musicians he has worked with over the years and his own personal style, including song writing of his own, Chris is fantastically one with the music. His style reminding me a great deal of the classic Chicago/Memphis Delta feel, he is truly my cup of tea when it comes to a man on a musical mission. Rounding out the group for the evening is another of the Broadcasters, Dave Limina, on the Hammond B3 and piano. His beautiful playing fits perfectly with a gentle and sad song written for those who are struggling with overwhelming odds in life, and launches playfully into a boogie ready to blast you out of your seat and onto the dance floor. It’s clear to see why he and Blue are part of the legendary Ronnie Earl’s band. Playing at a level that is perfectly matched to the luminaries of the genre, Dave is truly a pleasure to listen to. Diane has released released two albums of her own, and has collaborated with a number of other great artists both local and national. Her most recent, and my personal favorite, is Blues in My Soul where you get to fully enjoy her triple threat skills. Make sure that you keep an eye on her schedule as you’ll not be disappointed no matter which band she is performing with! A guaranteed great night of music.